You are here:Home-Why should I appoint a solicitor? Gary Matthews Solicitors have over 20 years experience with Personal Injury Claims. As experts we will deal with all aspects of your case. Over 44% of applicants reject the Injuries Board / PIAB assessment figure and proceed to court. Contact Gary Matthews Solicitors to ensure you are awarded fair and reasonable compensation. Gary Matthews Solicitors are available to talk personally to you and to answer all your questions and queries face to face. The Injuries Board process is a document only process and you NEVER get to meet a person! Why should you always appoint a solicitor? When making a personal injury claim, due to the huge media presence of the Injuries Board giving details on how you personally can make your claim, you may feel confused and think you do not need a solicitor anymore! Whilst it is possible to complete your claim without instructing a Solicitor, you need to be aware of the benefits of instructing Gary Matthews Solicitors. We will ensure the most favourable outcome for you. In a similar way if your car broke down you would employ a mechanic to fix it. Could you fix the problem yourself? Possibly, but you are most likely going to get the fully qualified expert to do the work on your behalf. Nearly all personal injury compensation claims must go through the Injuries Board process (including motor accidents, workplace accidents, and accidents in public places). This process normally takes between 9-15 months! The Injuries Board is not responsible for making sure you receive the correct or even adequate personal injury compensation (the stated objective is to reduce compensation payouts by reducing the use of expert medical(s) and legal advice). Just 55% of all claims submitted to the Injuries Board were settled for the amount offered in the assessment. In other words, they only settled one in five cases. Most claims result in negotiated settlements between the insurance company and the claimants Solicitor, long before the average 9-15 months it takes the injuries Board to assess your case. All claims by minors (people under 18 years) must go through the Injuries Board process, as they must be approved by a Judge in Court and prior to issuing Court proceedings, minors require an authorisation to be issued by the Injuries Board. Firstly, if you submit the application to the Injuries Board yourself and fail to name the correct person/legal entity that is liable to compensate you, you will lose your right to compensation once the Statute of Limitations expires. The Injuries Board never advises you if you are suing the correct person/legal entity – we as your Solicitor always will. Secondly, the person/legal entity liable to compensate you, may agree to have your case assessed by PIAB, wait on your assessment and then turn around (after 9-15 months) and reject the assessment and deny liability. You, who acted in good faith, is then left in the position that you need to instruct a solicitor to issue Court proceedings, but during the 9-15 months Injuries Board process, vital evidence that is essential to prove your case will not be preserved – instructing us immediately will ensure this does not happen. 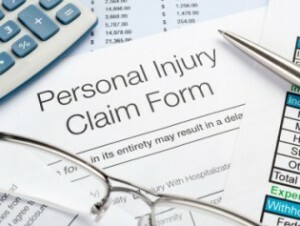 Our team have over 20 years experience in Personal Injury Claims. Why choose Gary Matthews Solicitors? You are entitled to Specialist representation. Insurance companies have huge resources at their disposal to defend claims and only hire experienced lawyers to represent their interests. You too are entitled to specialist representation by an experienced niche personal injury firm. Your welfare is our priority and we are committed to acting in your best interest at all times. We offer personal attention, use plain language and provide practical and impartial advice through every stage of the claims process. We have also taken steps to ensure that all claims can be transacted by telephone, email, or post in order to reduce the inconvenience caused in the process of pursuing your claim. As a client of Gary Matthews Solicitors you will receive a professional, courteous, efficient and communicative service in all your dealings with us. We go the extra mile in every claim so as to ensure the best outcome for our clients. Other than acting for our clients to claim the best possible outcome for their injuries we also provide support services such as sourcing the best medical experts providing the necessary treatments, Physiotherapists, Engineers and more. At Gary Matthews Solicitors we appoint a single point of contact to guide you through the whole process and keep up to date each step of your claim. We communicate in simple, clear English, in a way which is convenient for YOU! At Gary Matthews Solicitors, client service is at the heart of everything we do. We put YOU, the person we are dealing with first. Of course the legal issues are important too, but with Gary Matthews Solicitors, you get the best of both worlds – great advice and the very best in client service. Always obtain legal advice for an injury claim. When it was initially set up, the Injuries Board wanted the resolution of personal injury claims to become a “solicitor free” zone. However, through legal challenge, it was determined by the Supreme Court of Ireland that this was an infringement of the public’s legal rights. Now, over 90% of claimants use a solicitor to advise them about their claim and prepare their legal paperwork for submission to the Injuries Board. 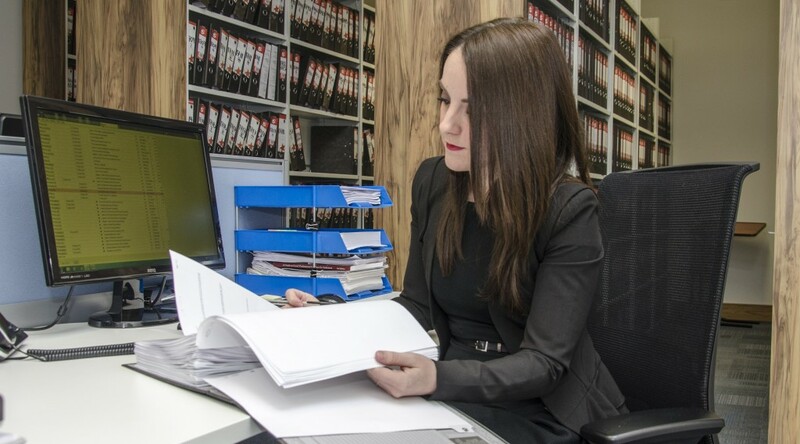 This is a sensible approach, primarily because a specialist personal injury solicitor has the experience to assess the unique circumstances of your accident, including the impact it may have on you and your loved ones over the course of your lifetime. They will know, for example, if an expert medical opinion is needed, and how to obtain one for you. A normal member of the public with no legal training or experience cannot be expected to know when or which specialist medical reports are required. Basically, people use a solicitor to ensure their case is presented in the strongest manner possible and obtain the maximum compensation. Put simply, would you operate on your body? Of course not – you would only allow an expert surgeon. The best comparison is selling your home – would you accept any offer without instructing an estate agent to prepare a valuation? Our Solicitors will advise you whether to accept or reject an offer and how to then enter into the litigation process (if necessary), where a court will very likely award you a higher sum. Since very few cases actually end up in court, your Solicitor will essentially negotiate the highest possible settlement with the insurance company based on past experience and knowledge with compensation payouts. Remember the Injuries Board process is a “documents only procedure”. It does not involve any oral hearing, so you never get the chance to meet or talk to any person about your case. The whole process is by paper only! You never meet and/or speak with a representative from the Injuries Board. However you can meet your Solicitor anytime, or ring him at any stage throughout the process to discuss your case. Any experienced personal injury solicitor will tell you that talking through an accident is often part of the healing process for an injured party, and it always helps to clarify the details, which can otherwise remain vague. Sometimes accident victims are reluctant to claim because they somehow feel partly responsible and don’t want to “cause more trouble”. A Solicitor will help you clarify who is responsible and what you are rightfully entitled to claim for – something PIAB will never do! We strongly recommend you get independent legal advice from an experienced claims solicitor by calling Gary Matthews Solicitors directly on 01 903 6250, or by completing a claims form. A member of our team will respond within 24 hours to discuss your claim. We ensure you get the compensation you deserve. There are Guidelines & Penalties which we are experts in. Our Expert Team offer free advice & will respond to your query within 24hours. Every Personal Injury Claim is unique. Our team treat each case independently to ensure you get the best possible outcome. We answer your FAQ's in a transparent way. All you need to know about making a claim.